For the latest updates in common vegan brands, check the supplement to Rebecca Gilbert’s book It’s Easy to Start Eating Vegan. Many people have shifted towards a plant-based diet and the market has responded! Whether you making food changes for health, the environment or for the animals, the good news is that there are plenty of delicious plant-based dairy options out there for you! Note: When you’re buying non-dairy cheese, be sure to check the ingredients, as some of the rice milk and almond milk cheeses still contain casein, a milk protein. 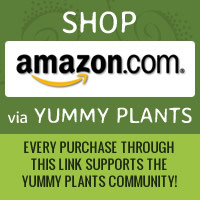 great information and recipes that you provide. Kicking the dairy habit was the best thing I’ve ever done for my health! No more persistent digestive upset, chronic acne, or upper respiratory issues! And I feel so much better knowing that I’m not contributing to the horrific cruelty associated with factory-farmed dairy cows. with so many delicious options, I never feel deprived. Daiya vegan cheeses, Nacho Mom’s vegan queso, Healthy Top whipped cream, and So Delicious coconut milk drinks, yogurts, and ice cream are all incredibly delicious! I have been using Rice Dream rice milk for many years. Although I don’t really drink it, I use it on my cereal and for cooking. It is great. I don’t really like the taste of soy milk. My husband LOVES Silk soymilk. We’re tried other brands, but he always wants Silk. We use the Tofutti products. They are just like the real thing. We’ve happily served Toffutti ‘ice cream’ to many guests and they often remark on how delicious it is. The ‘Sour Supreme’ sour cream substitute is delicious. You won’t even notice the difference on your tacos. I’ve never tried to cook with it though. Their ‘cream cheese’ product is good too, although I find it to be a little firmer and harder to spread than ‘real’ cream cheese. Kick the dairy. You won’t be unhappy. I feel SO much better when I avoid dairy and my cholesterol is good too. Helena, I totally agree!!! After I found their products, I never felt like I was sacrificing. Btw, did you see that they’re giving away a trip to Thailand on their FB page?? Check it out! I love So Delicious coconut milk beverages, coffee creamer, and ice cream. They are the most delicious vegan alternatives to dairy I’ve ever tasted, and they make it easy for anyone to kick the dairy habit!